This morning (Wednesday), I gave a Bible to a young man and together we read from Philippians 4. I don’t know when I’ve seen such a big smile on someone’s face or heard such gratitude. 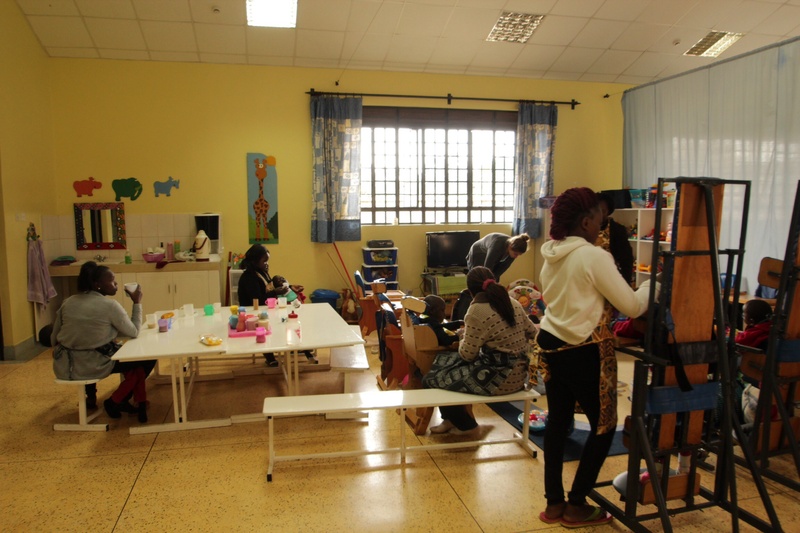 On July 1-2, Amanda and I volunteered at Heshima Children’s Center (www.heshimachildrenscenter.org) in Nairobi. 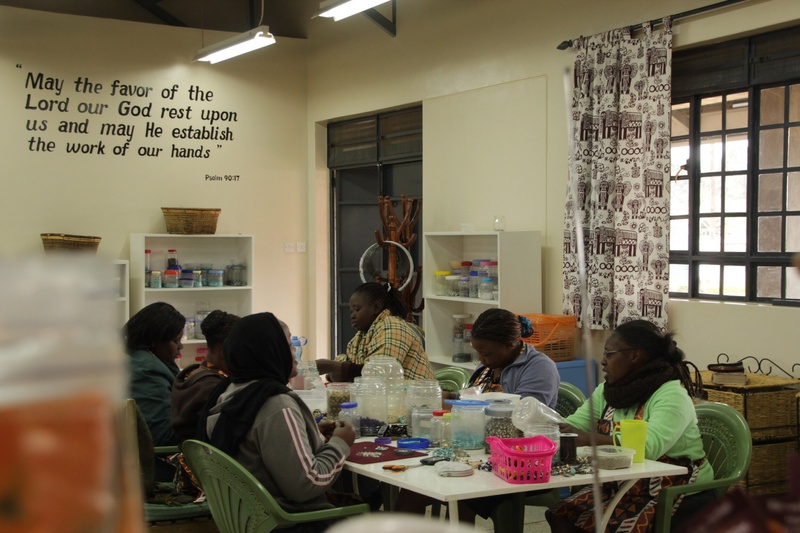 Heshima provides services for children with disabilities and their mothers. Amanda offered music therapy to the children. I listened to the stories of the staff (many of whom are also the mothers of the children) and prayed with them. On Wednesday, I met with the moms. I listened to their stories and what it is like to have a disabled child. This is a culture where often the birth of a less than perfect child is seen as a curse. This is a culture where often a disabled child is kept at home out of view from others and fed very little until that child dies. But these mothers wanted more for their children. One had welcomed the child as her own when her parents no longer wanted the child. Another watched as her husband left her, unwilling to be a associated with a wife who would have a disabled child. Each story heart wrenching. One mother carries her 11 year old child from her home to Heshima and back again. It is a walk that takes her an hour – longer when it rains and the roads are muddy. Heshima provides therapy for the children, treating each child with dignity. And as you might expect, the children thrive on the care and love that they receive. It is the kind of care we take for granted in America. I asked if I could pray with them. Their requests for prayer are too personal for me to share here, but I was taken by how confident they were that if we prayed their prayer would be answered. Having heard the miracles that some of them had already witnessed, I too believe it is only a matter of time until each prayer is answered. On Tuesday, I met with the men who work at Heshima. I spent time, listening to their life stories and how they came to faith. That’s when I met Chris, a guard at Heshima. 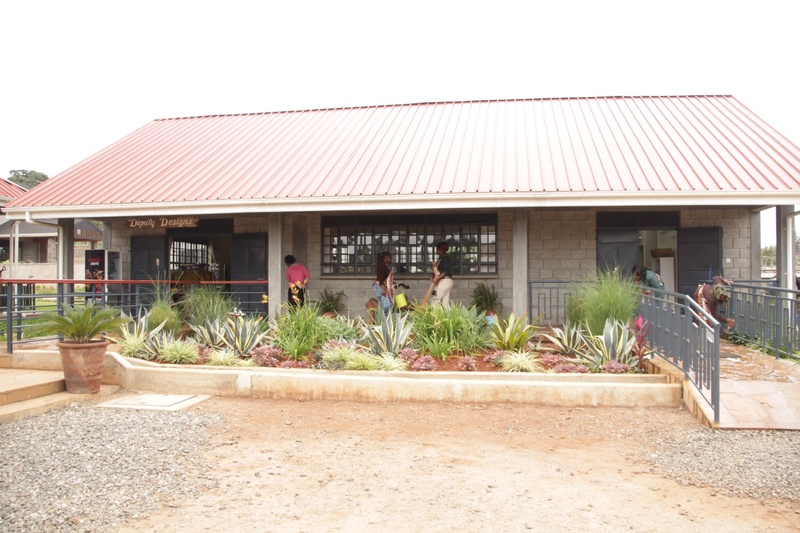 Like so many places in Kenya, the compound is surrounded by a stone wall topped with razor wire. 24 hours of the day, a guard is on duty to open the front gate and watch that no one breaches the wall. It is an indication of the desperate poverty that anything of value must be guarded. Chris is a young man who went to school through the eighth grade. He was unable to go to high school because that would have required money that was not available. Without a high school education, he was grateful to find a job as a guard. He attended a church revival last year and came to faith. He had never attended a church previously but he found one and was baptized. Chris shared with me the challenges that he faces and how he wants to live a better life as a Christian. How does one learn about this better life as a Christian? And then how does one live that way especially when what is familiar is not the way of Christ? Chris wants a better life but he does not know what a Christian life is. Do you have a Bible? I asked. No, he replied. If you had one, which language would you prefer? (Swahili, English or his traditional language) English, he said. I think I can do something about that. So, that evening, I found a book store and purchased a Bible in a translation that would be easier for someone with an eighth grade education to understand. The next morning, I greeted Chris and said, “I have something for you.” As I gave him the Bible, he had a huge smile and eagerly opened the book. It felt to me like I had not given him a gift but a lifeline. I had placed a bookmark at the gospel of Mark and suggested that’s where he could start reading. Chris was a new Chrisian, wanting to live a better life, but he did not even know how Jesus lived. But now he had a way. And then I turned to Philippians 4, and we read together these words: Fix your thoughts on what is true and honorable, and right, and pure, and lovely, and admirable. Think about things things that are excellent and worthy of praise. Beautiful story…I trust his life will be different from this day forward.